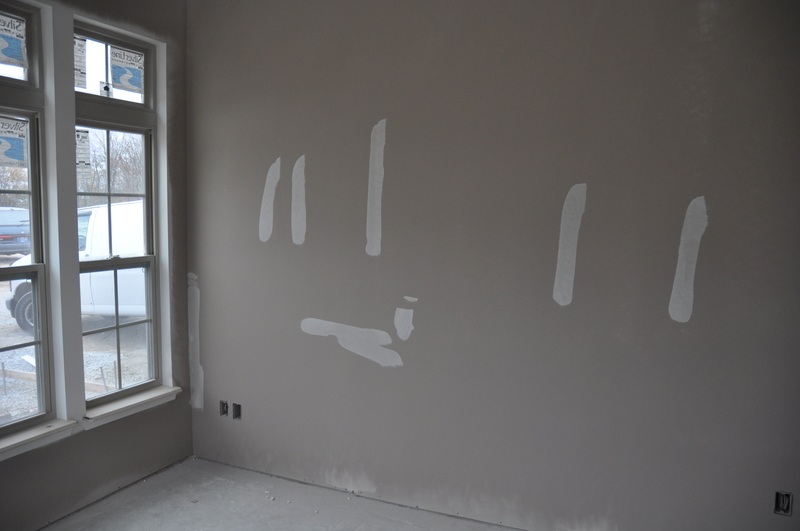 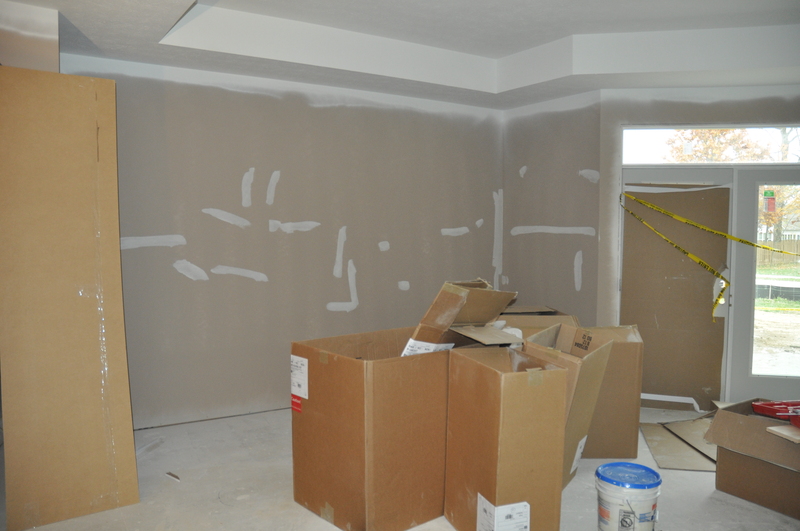 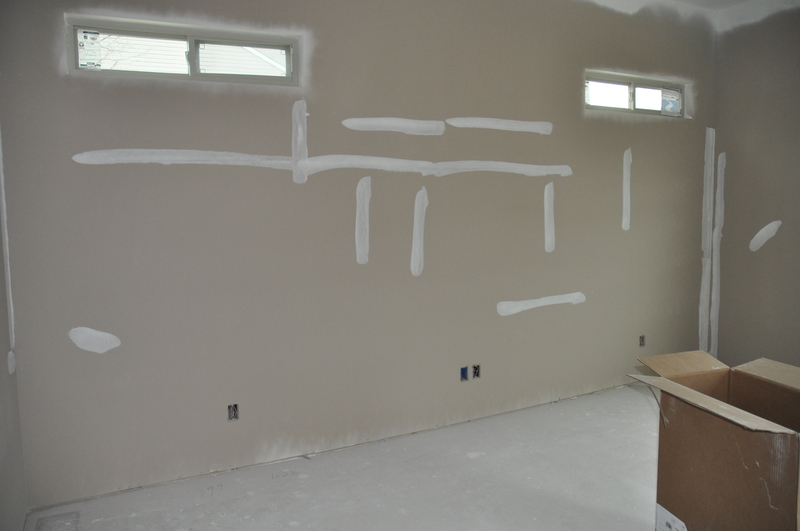 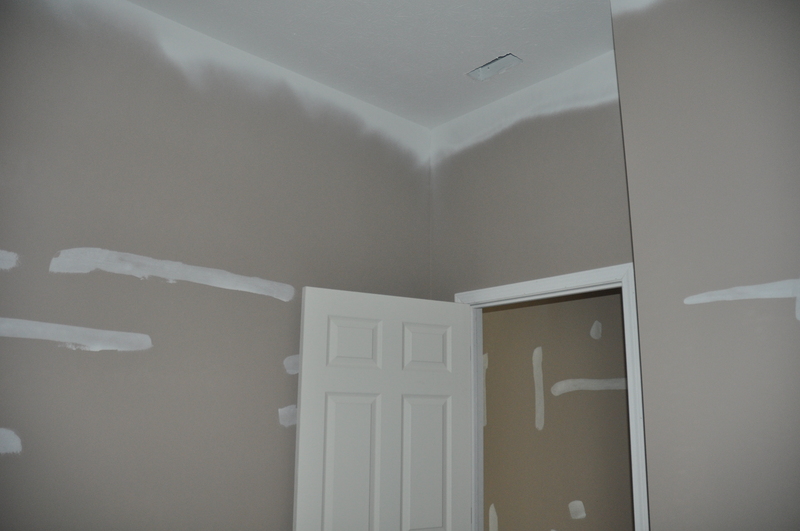 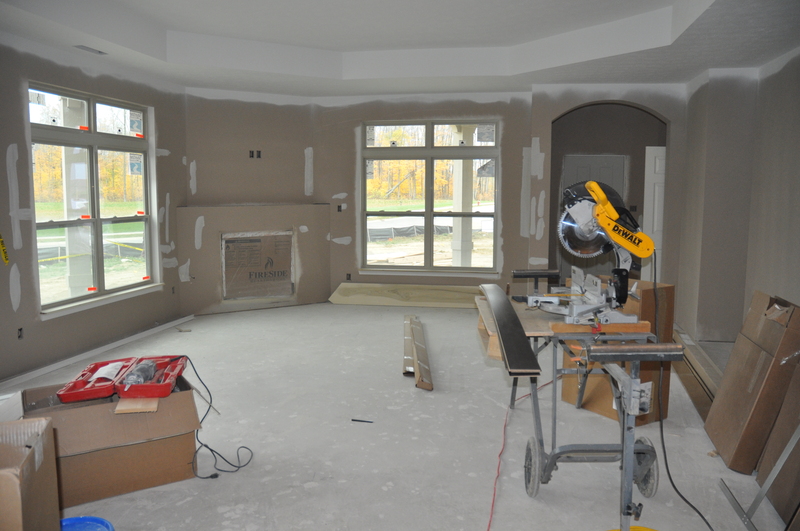 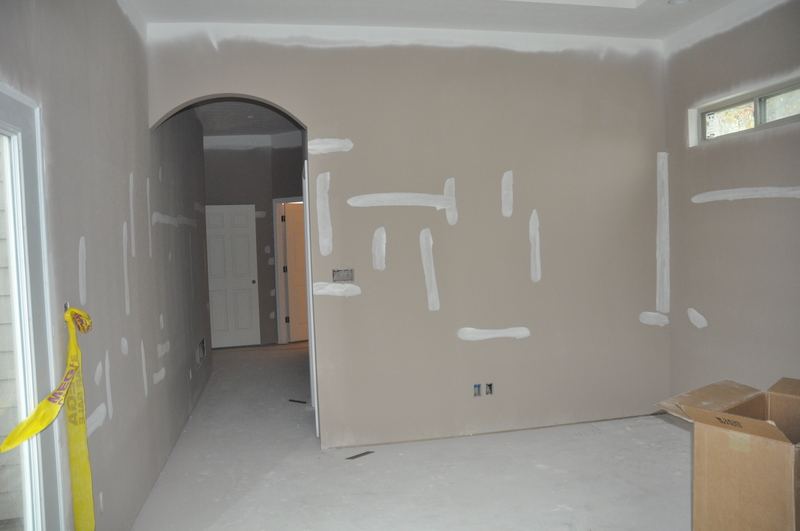 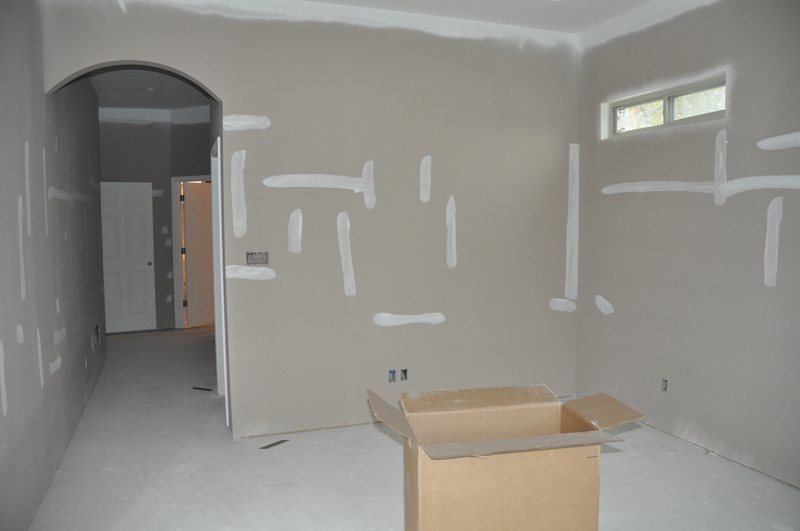 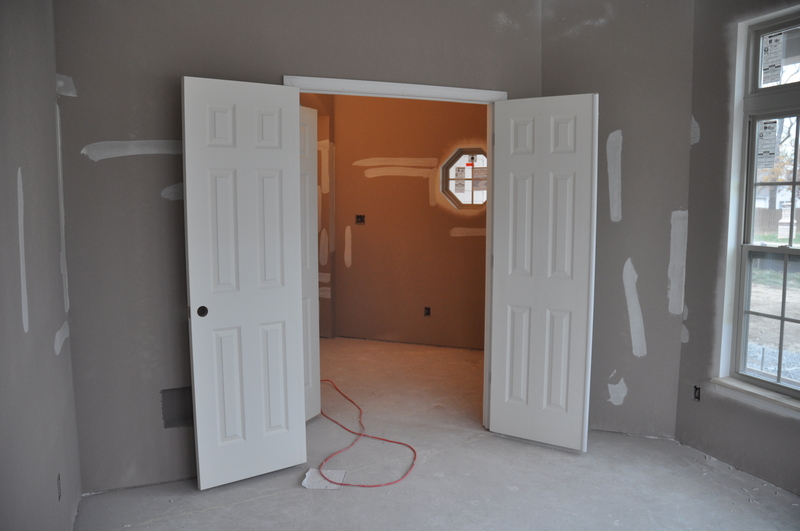 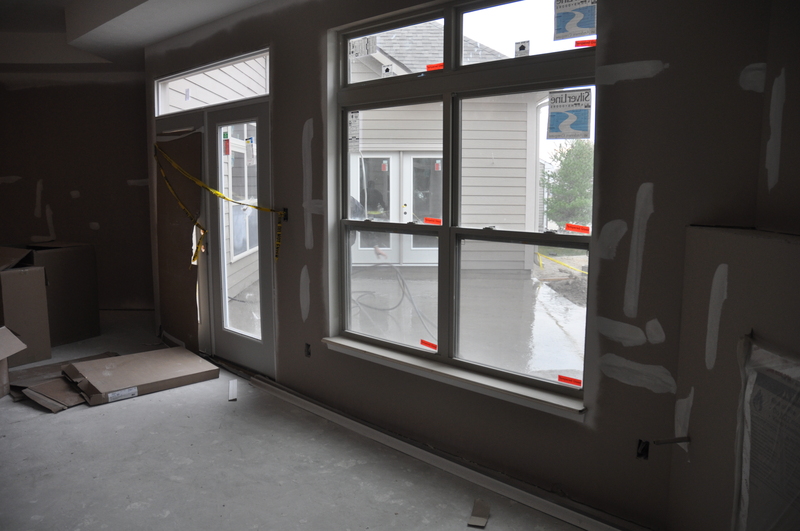 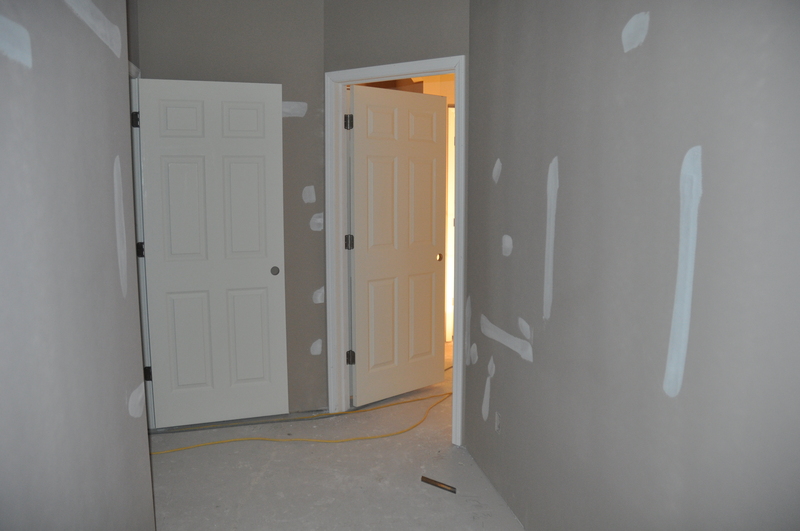 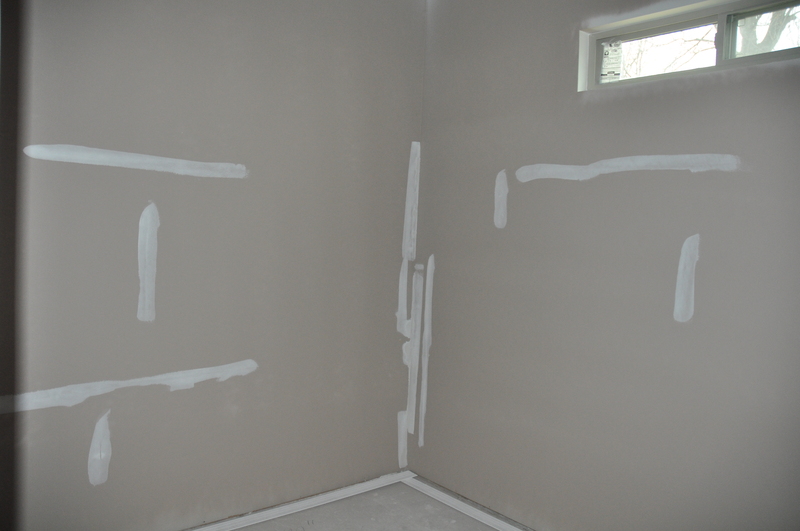 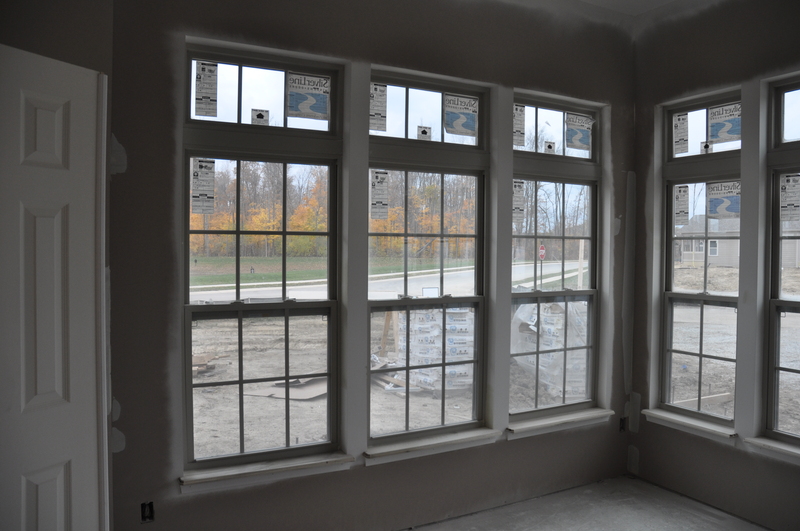 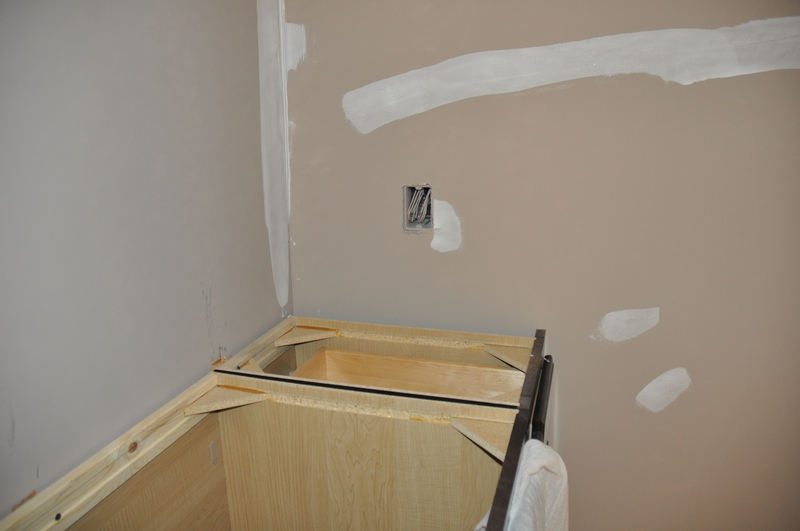 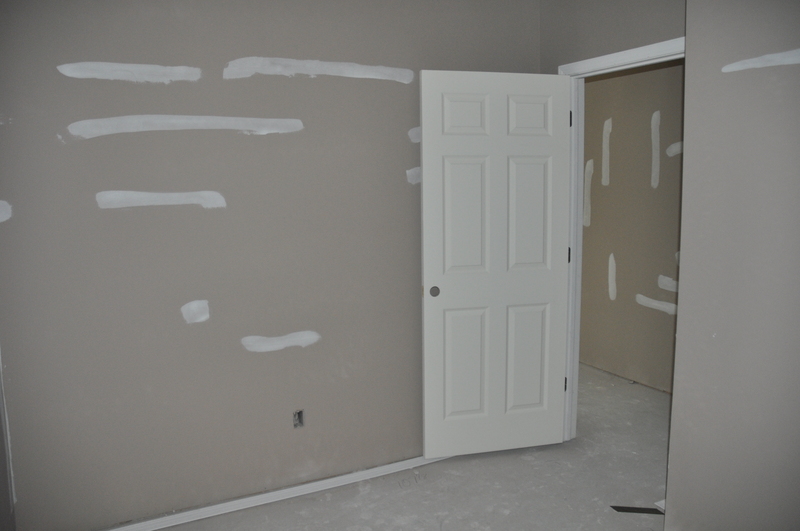 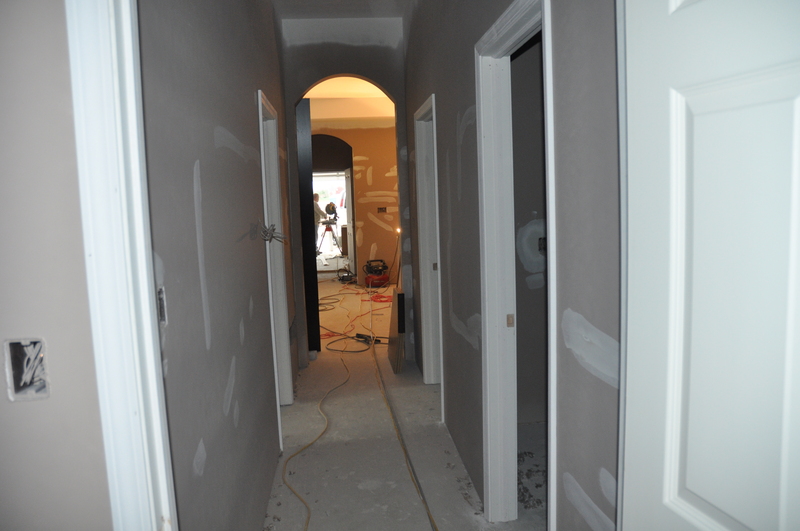 The interior walls go through a number of preparation steps. 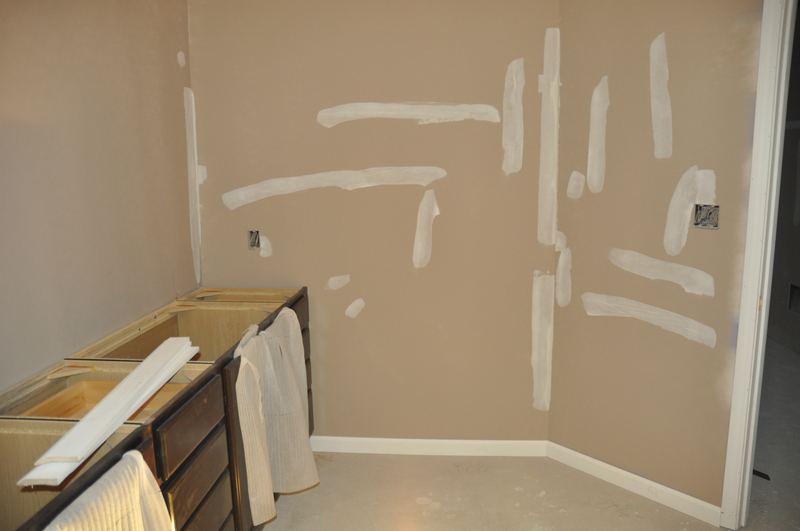 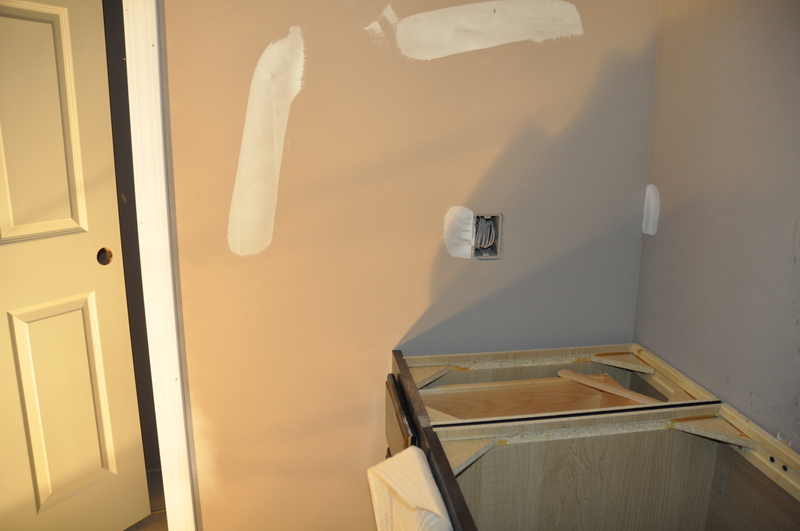 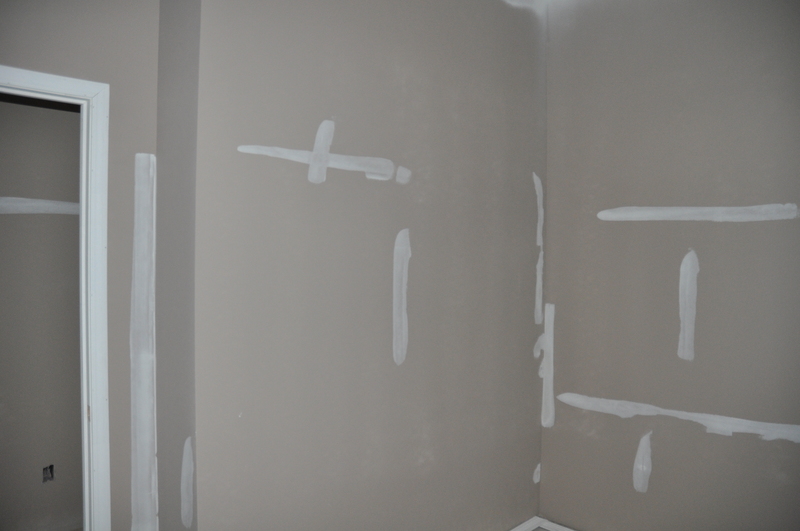 There was the framing, the drywall, the tape & float, the primer, and now the patching and sanding. 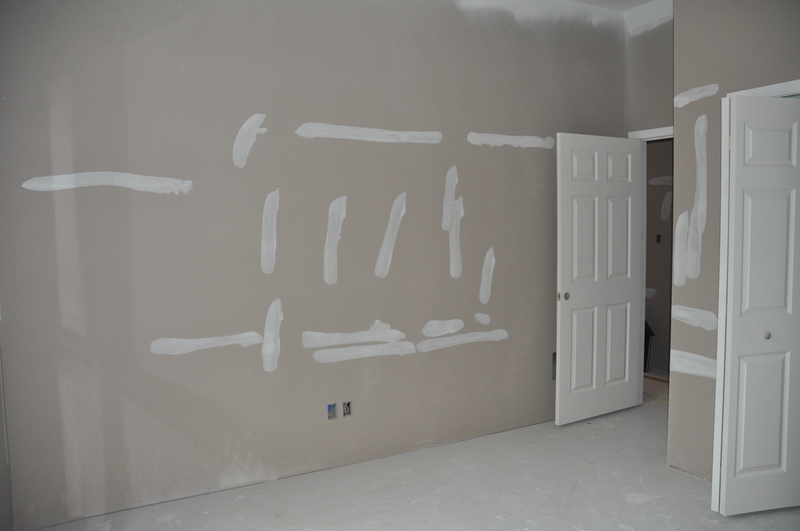 This is the final prep stage before the interior paint is applied. 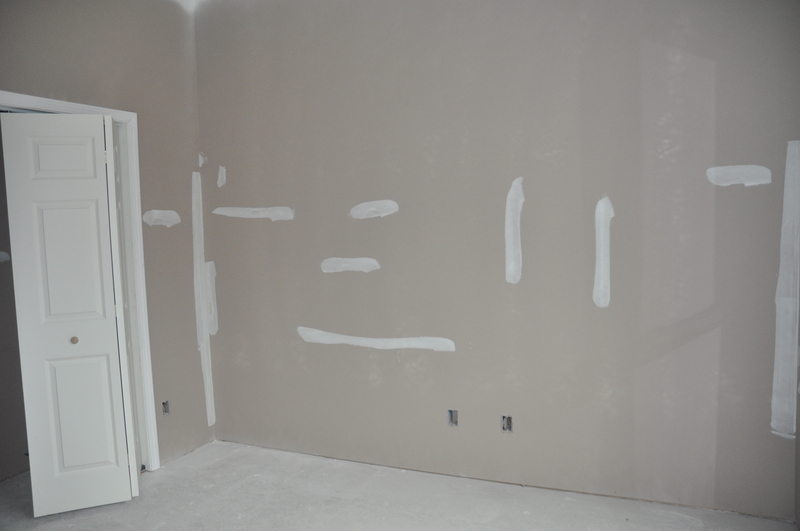 It looks like hieroglyphics, doesn’t it? 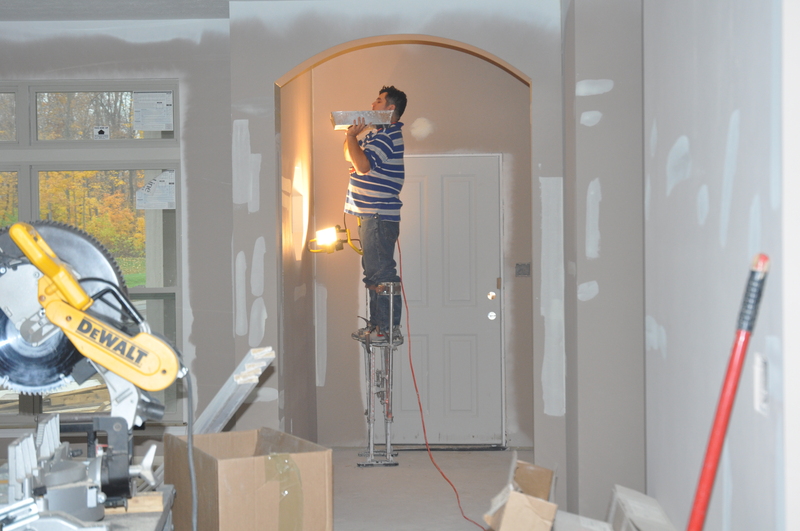 I want a pair of those stilts!